A lecturer in the Department of Mass Communication in Cross River University of Technology (CRUTECH), Mrs Edang Yolanda Ekpo Bassey, has challenged students of the university “to hit the protest lanes in their numbers and demand better education and learning conditions”. 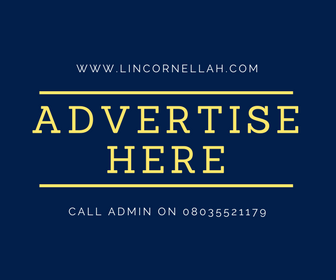 She gave the challenge today in a message sent to LinCornellah’s blog, following the blog’s report about the reactions of students of Department of Mass Communication, CRUTECH, to the recently suspended strike action by Academic Staff Union of Universities (ASUU). That report published yesterday, shows that respondents to an opinion poll mostly expressed concern about the likelihood that constant strike actions would cause them to spend more years in school than the normal duration of their course of study. Mrs Edang Yolanda Ekpo Bassey is wife of Comrade Bassey Ekpo Bassey, nationally – acclaimed revolutionary former Chairman of Calabar Municipality. He is a renowned journalist and once contested as a Gubernatorial aspirant in Cross River State in 1991, on the platform of the now defunct Social Democratic Party (SDP). Its indeed sad to see that we the youth of nowadays don’t even know our right, talkless of exercising it on certain anormalis of government. We (youth) really don’t know what we’re looking for, that’s why the system is growing worst by the day. No wonder Wale Soyinka stated in one of his piece on national issues that “the youth of this generation is dead on arrival” Ofcourse, we cannot fight because we are morally declined and physically impotent. We need to rise up to the challenge! True. Like Prof Kevin Ogon Etta constantly said when he was Vice Chancellor of University if Calabar, our students and youths need to take “reasonable action” at all times. We trust that Mrs Edang Bassey is equally calling for “reasonable action”.